Pic’ in the Picture: What’s the fuss about the Dragon? The picture below was taken at the Shwedagon Pagoda in Yangon, Myanmar (Burma), the biggest and most important temple of Myanmar. 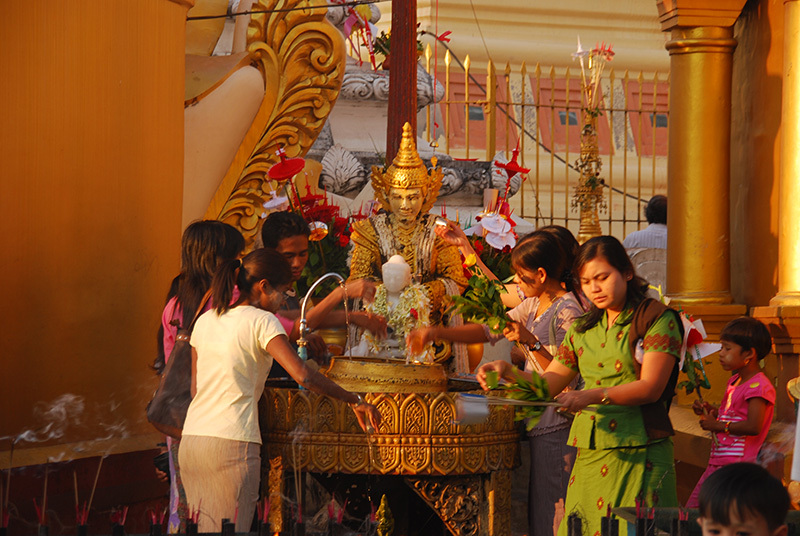 By Vera | Also posted in Myanmar, World Trip | Comments Off on Pic’ in the Picture: What’s the fuss about the Dragon? Pic’ in the Picture: Moscow time please! 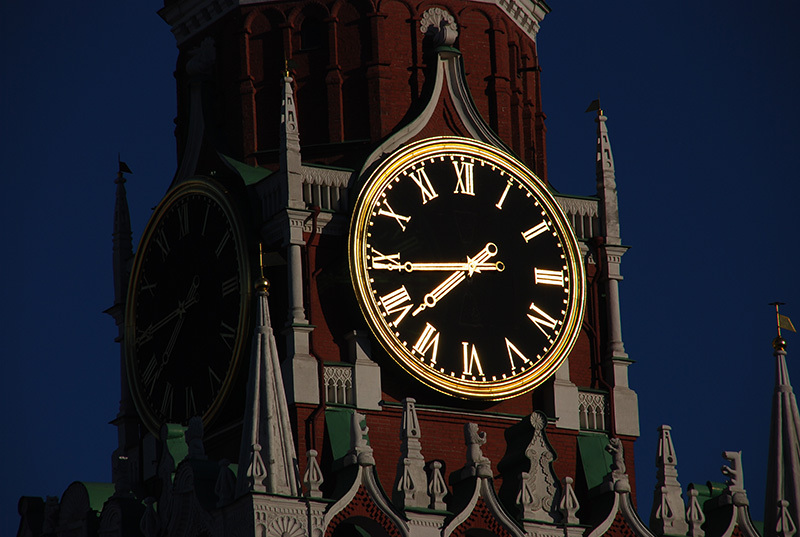 This picture was taken in Moscow, Russia and shows the one and only so-called “Moscow Time”. Russia is a country so big, that it incorporates 11 time zones: from GMT+2 to GMT+12. Therefore, in order to keep track a bit, and to make it easier for everybody (somebody in Moscow certainly thought), trains tables, departures and arrivals are always indicated with the Moscow time. So if you are in Irkutsk and your train ticket says a departure at 17h15, this means in reality a departure of 22h15 local time as Irkutsk is 5 hours ahead of Moscow. However, keep in mind that trains that don’t cross time-zones (local trains), go on local time! So if your ticket says 17h15, it is indeed 17h15… Easy once you understand it, but until then, you might be in for some surprises. We took this picture at the market of Siem Reap (Cambodia), the town that sees more than 1 million tourists go by per year to see the Angkor Wat complex. It’s full of tourists everywhere, but luckily at some places, people still live their life quietly and behave like they have been behaving for ages. We decided to create a new category: “Picture in the Picture”. During our trip around the world, we have been taking a lot of pictures of course, some better, some worse, and in this category we want to put some of those pictures in the spotlight. Not because it is very beautiful or technically a “good picture”, but because there is a nice story to tell about it. Like this, we will take pictures from our collection at random and will tell their stories, anecdotes and experiences from around the world. Enjoy reading and travelling!